Do you want to use a good treadmill, but you can't afford to buy a top-of-the-line model new? Motorized treadmills for home use cost from $750 to $5,000, and generally the more you pay, the better you get. Most motorized treadmills under $1,000 have under-powered motors, are less sturdy and have fewer options for adjusting the incline and for programmed workouts. Just as with cars, the secret is to forget about new treadmills and to buy one used. You find a higher-quality used treadmill for a huge discount, which can bring them into your price range. Many people sell their almost-unused treadmills as the New Year's Resolutions wear off. You can find practically-new treadmills sold as used. Craigslist, eBay and online listings: try to connect with a local seller as shipping costs would be high for this heavy item. Local Print Classified Ads: look in your local newspaper or shopper newsletter, or their online versions. Charity Thrift Stores: such as Goodwill. Play It Again Sports: stores throughout the United States and Canada sell used treadmills. Many other exercise equipment stores do as well. Local gyms and fitness clubs: They may sell their used equipment, which is usually of the most sturdy construction, although they may have seen hard use. You should read information before you buy a treadmill. Whether buying new or used, here are eight things to look for in a treadmill to determine if it will work well for you. Research what treadmills are better quality. Top Picks for Budget Treadmills: Up to $1500. Top Picks for Quality Treadmills: Over $3000. You may be thinking of a home treadmill for convenience, but you will find far better treadmills at gyms, schools and fitness clubs. 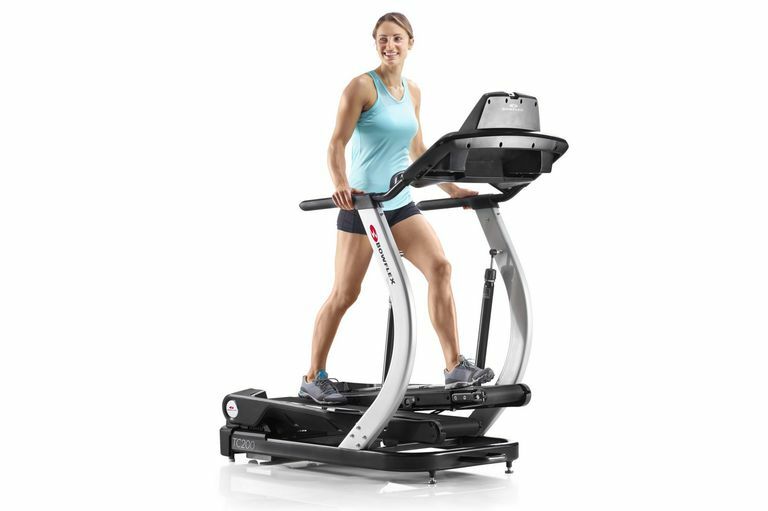 Treadmills built for club use are far more sturdy and often have more options for programmed workouts, incline settings, etc. Fitness Clubs: Shop for a club with a low monthly fee and join them to use their equipment. School Gyms: Check into getting access to a school gym, including local community colleges. You may have to volunteer or sign up to audit a course, but this can be a relatively low investment to use their facilities. Work Fitness Centers: Check with your employer or those of your immediate family to see if they have an on-site workout room or if they give discounts to use local gyms or fitness clubs. Community Centers: Check with the local senior center, parks department, after-school program centers, etc. to see if they have facilities available to the public for free or for a low fee. If you don't meet the requirements, ask about volunteering to earn the perks of using their equipment. Health Programs and Medical Centers: Check with your health plan, HMO, or local medical centers to see if they have workout facilities available. You may find a free or inexpensive fitness or weight loss program they are offering as well. Recreation Centers: Check with your close friends and immediate family who live in apartment or condo complexes, senior living facilities, etc. as many have fitness centers. Check the rules of use. Your feet and the local sidewalks or indoors shopping malls are free. While you may have been thinking of a home treadmill for convenience, staying out of the weather, and personal security, you do still have the free option of just walking. Mall walking: many or most shopping malls and large shopping centers open early for mall walkers. Check into this in your area. You can circle inside without crowds, with bathrooms and water fountains available. Dress for the weather, know that you won't melt in the rain, and get out the door and onto the sidewalks! If your goal is to burn calories, burn off fat, get a good cardio workout, and tone your body, then you may want to use an elliptical trainer or exercise bike instead of a treadmill. But if you are training to walk or run, then you need to walk or run on a treadmill or outdoors, and other equipment provides crosstraining rather than being a substitute for walking or running. Home Fitness Equipment: You can decide what other home equipment is right for you. Elliptical Trainers: These are far less expensive, can often be found used, and give both an upper and lower body workout. Exercise Bikes: You can find a good new exercise bike for under $500, and find great bargains for used equipment.